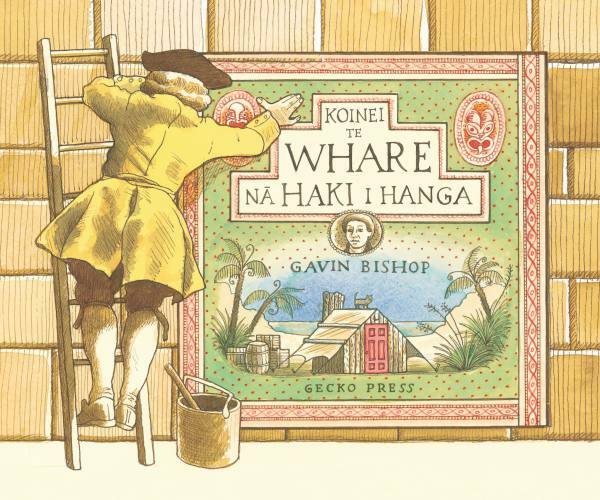 Koinei te Whare na Haki i Hanga is a complex weaving together of the nursery rhyme with the cultural, historical and environmental context.The illustrations are rich, evocative and complex, and reward being looked at again and again. Te whare na Haki i hanga. 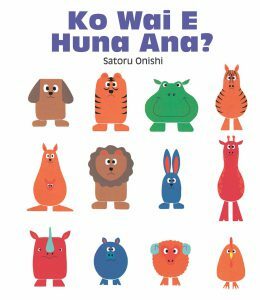 …in Te Reo Maori, translated by Piripi Walker and edited by Hone Apanui. Maori religious beliefs, trading accounts, hand-writing exercises and old maps are all to be discovered. The illustrations reflect the influence of Hogarth, Cook’s illustrators, colonial sketchers, Maori craft workers, and the folk art style developed for the `painted histories’ in some meeting houses … all of it forms a united whole. The old nursery rhyme is brought brilliantly to life in a colonial setting, based on Bishop’s own whakapapa, wrapping indigenous myth in both word and pattern around traditional English text, drawing parallels between animals of myth and those brought by the Pakeha, and showing the blossoming of love between Bishop’s redheaded Scottish ancestor and the Maori ‘maiden all forlorn’. 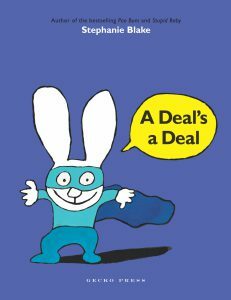 …in Te Reo Maori, translated by Piripi Walker and edited by Hone Apanui. 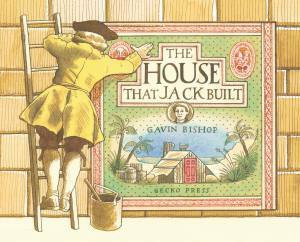 Based on the well-known nursery rhyme, it tells the story of Jack Bull, who travels to New Zealand from London as a new settler in 1798. But the second story is in the striking illustrations as Bishop weaves in the Maori perspective, showing their spiritual commitment to their land and pressure from the settlers to acquire it. 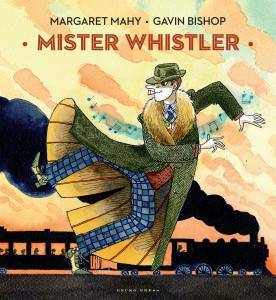 Its sophisticated, nuanced approach will be a joy to New Zealand history buffs as well as lovers of good picture books … A gem from one of New Zealand’s children’s book gems, Gavin Bishop.